Leaf Color: This Phalaenopsis is getting just the right amount of light to grow well and bloom. Three main factors influence how well or poorly your orchid plant will fare in its new home: water, fertilizer, and light. Like any other plant you grow, the closer you can simulate an orchid’s natural environment, the healthier your plant will be, and you’ll get rewarded with striking blooms year after year. Does this mean that orchids can’t grow in your home unless you turn your living space into a tropical jungle? Not at all. Warm and temperate-growing orchids do very well indoors, as long as you provide the basic requirements below. Caught Without Shade: The disastrous effects of direct sun on this Cattleya's new growth. orchid-growing by beginners. Light determines whether your plant will bloom, the strength and vitality of any new growth the plant produces, and the quality and size of its leaves. In order of decreasing intensity, Vandas, Cattleyas, Dendrobiums, Phragmipediums and Oncidiums all require relatively strong light to thrive and bloom. 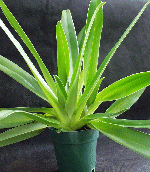 Of those five, Vandas and Cattleyas need the most, Oncidiums the least. If your plant falls under one of these genera, place it by a southern facing window that you can cover with sheers, if necessary, when the sun comes through. Under no circumstances should you expose your orchid plant to direct, mid-day sun! 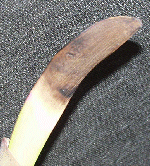 Burning will come quickly and hard, causing black splotches to appear on the leaves and seriously damaging your plant. If your orchid’s leaves feel hot to the touch, burn is imminent. Move it immediately to another location and spray the leaves with water to cool them down. If your plant is a Phalaenopsis or Paphiopedilum, less light is necessary so a window with an eastern exposure or a location beneath a skylight will do just fine. Again, no direct sun. Many home growers without suitable window space have supplemented natural light with artificial light, and they’ve achieved very good results. Warm fluorescent tubes are fine and inexpensive to start with, but as you become more involved with your orchid growing, if you can’t get enough natural light, you may want to think about buying specialized metal halide fixtures and lamps that shine at the correct wavelengths. A general rule of thumb is, if your orchid’s leaves are turning yellowish overall, but still have a firm and healthy texture, your plant is more than likely receiving too much light. If on the other hand, the leaves are turning a dark, dark green, feel flimsy, and can’t seem to hold themselves upright, your plant is receiving too little light. In either case, adjust the plant’s location accordingly. Tell-Tale Signs: The owner of this plant insisted he wasn't leaving the bottom of his orchid submerged, but these water rings tell a different story. naturally by clinging high up to the bark of trees with their roots exposed to the air. The roots of these orchids should be allowed to dry slightly between waterings. Paphiopedilums and Phragmipediums, the “slipper” orchids, are terrestrials: they grow in the moist humus of leaves and organic matter on the forest floor. They produce no aerial roots and the potting medium of these plants should never be allowed to completely dry out. Experience, finally, will be your guide. But to start, poke a finger down about an inch or two into the growing medium. If it feels dry, go ahead and water. If it feels damp, leave it alone. If you can’t tell, LEAVE IT ALONE. Watering once a week for a plant kept indoors is usually a good place to begin developing a regimen. If you run air-conditioning, a light morning misting with a spray bottle will keep your plant’s leaves from becoming dessicated. Get a feeling for your orchid’s “wet weight” by lifting the pot the day after you decide to water. Get a feeling for its “dry weight” a week later, before you water. You’ll soon be able to tell if your plant is thirsty just by lifting the pot. If you place your orchid in a tray to protect the surface of a table against moisture, be sure to fill the tray with gravel first! This will give your plant a little extra humidity as the water in the tray evaporates. Under no circumstances should you allow the bottom of your orchid’s pot to sit submerged in a trayfull of water! Doing so is the “lazy man’s” watering method and will eventually kill your plant by rotting away its roots. In the same vein, resist the urge to repot your orchid in potting soil. The root systems of all orchids need air to grow strong and thrive; potting soil compacts around the roots, preventing them from getting the air they need. Doing Fine: The roots of "Slipper" orchids should never be allowed to completely dry out. This Paphiopedilum's roots are getting the correct balance of air and water. of flowering. Mix the fertilizer according to package directions, but mix it at one third to one half strength. You can use this solution every time you water in the spring and summer. About once a month or so, hold back on the fertilizer and drench your orchid’s pot with plain water. This will help remove any buildup of fertilizer salts inside the pot which, if allowed to accumulate, can burn your orchid’s roots. A little hint: Whether they’re perched high in the treetops or clinging tightly to the side of a cliff, orchids rely on air movement for their survival. Air movement alerts pollinating insects that an orchid flower is open by bringing them its fragrance, and air movement scatters powdery orchid seed to other tree limbs when a seed pod has burst. By placing a small oscillating fan near your growing area, you’ll be simulating the breezes that orchids depend on and have grown used to, and you’ll be discouraging the insect pests, fungi, and crown rot that might otherwise plague your new pride and joy. Again, you’re not trying to simulate a hurricane. Place the fan far enough away so that a piece of paper or ribbon in your growing area just begins to flutter when the wave of air hits it. You’ll soon be well on your way to becoming a seasoned orchid grower! Finally, in the end, make sure you let yourself enjoy caring for your plant! Orchid growing shouldn’t be a source of stress. If you have questions or concerns about something that wasn’t covered here, register on the OrchidTalk forums and post a message under “Grower to Grower.” Orchid growers are a great bunch, and someone will be more than happy to help you out!